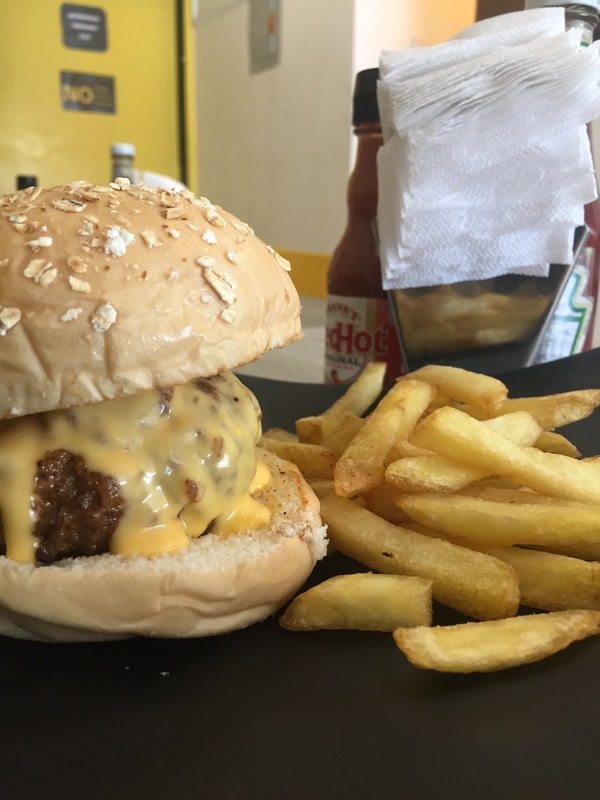 The search for the best burgers here in the Philippines led me to Brixton Burgers (Address: 83-E Brixton Hill Street, Santol, Galas, Quezon City). The place was chill – it was a garage-type joint. I got excited because sometimes, low-key joints unexpectedly give you juicy and delicious bugers and value for your money. I was looking forward to discovering another Snack Shack. So I stepped in, started enjoying the place’s good vibes, and even found their menu interesting. Upon ordering, I was told by the cashier that they ran out of burger patties and that I had to wait for about an hour. The moment I agreed to wait, the cashier informed me that the patties have arrived so I ordered the Double Stacked Burger and some Bacon and Cheese Fries. After 20 minutes, the fries arrived. 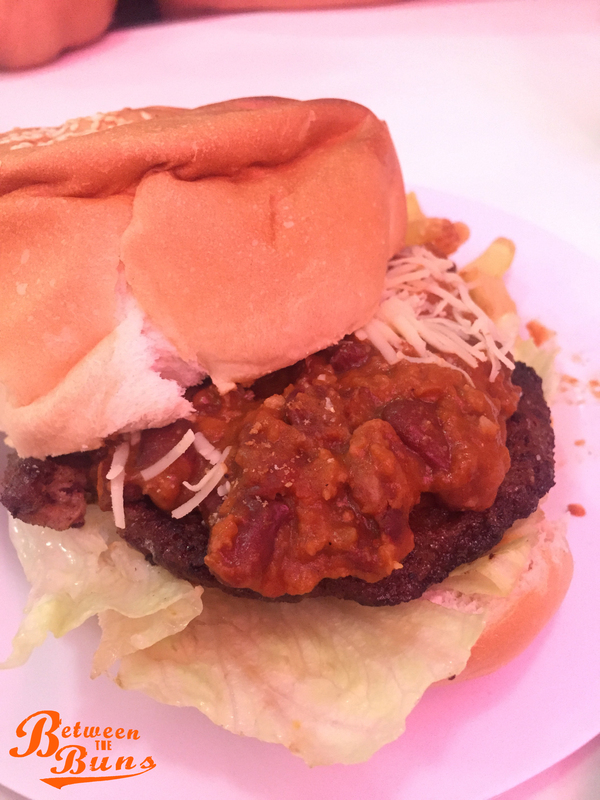 I ate a little and left more for the main event – MY BURGER! I saw the cook grilling some patties and I was sure one of them was mine. 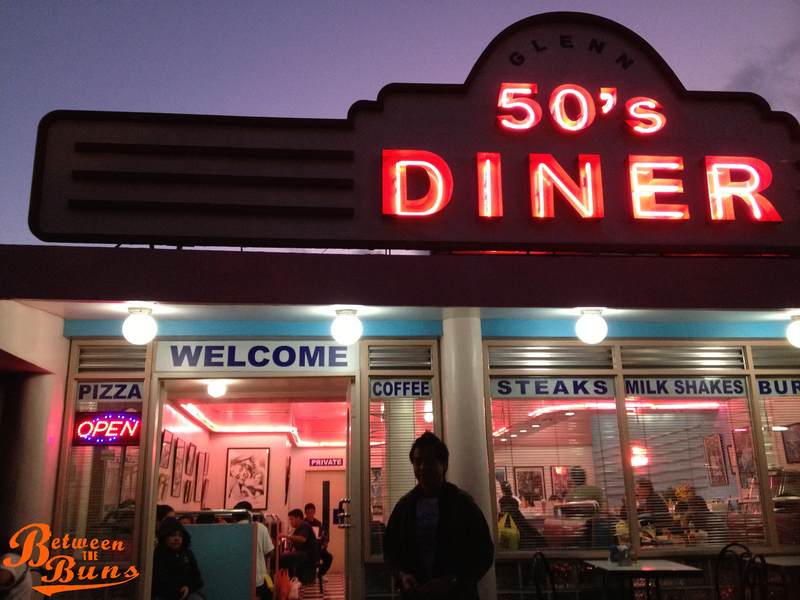 Unfortunately, none of them were and as if that wasn’t disappointing enough, the cook went on a 40-minute break! Of course, I ended up eating my cold fries and waited for another hour or so for my burger. 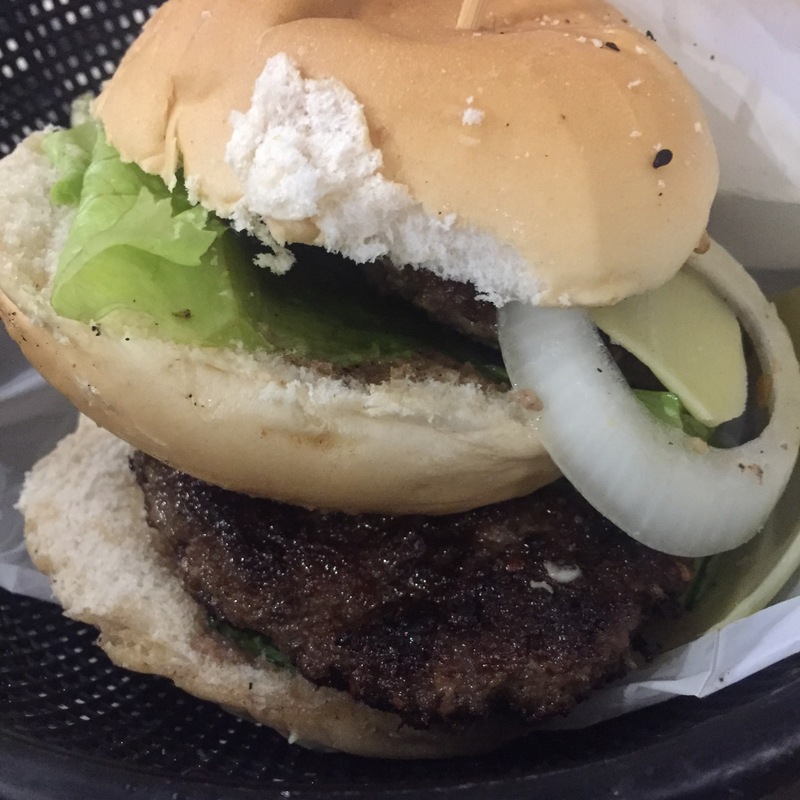 My newly-formed mantra, “Yes, I am a patient person whose ultimate goal is to find the best burger in the Philippines”, was on repeat the entire time. Finally, the wait came to an end. The 2-hour Not-So-Masterpiece Brixton Burger has finally arrived! I therefore concluded that I have wasted 2 hours of my life and x hundred pesos. The burger patties tasted like cardboard. And last I remembered, burger buns taste like bread (only better). Theirs taste like flour. So guys, you’ve been warned. If you want a real-life Halloween nightmare (a.k.a. wasting money and time), Brixton Burgers is the place to be! Plus, it’s so chill, they’ll serve your burger 2 hours after. 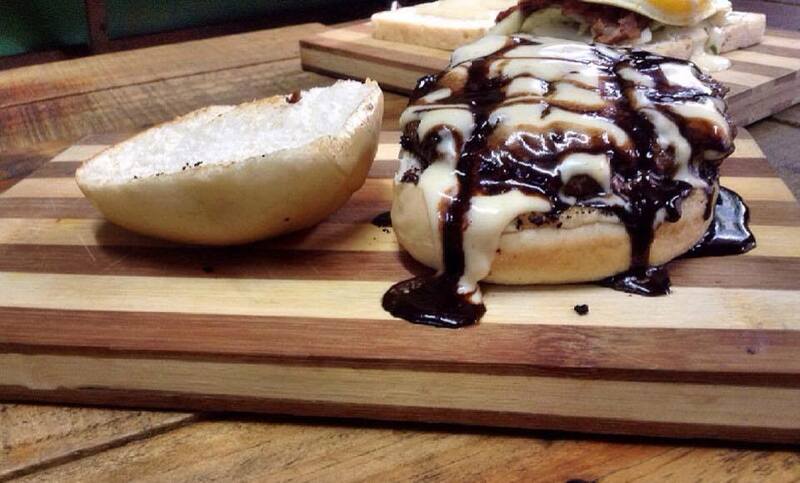 Aside from your usual Burger Joints, here’s a list of new Burger Joints around the metro that is worth trying! 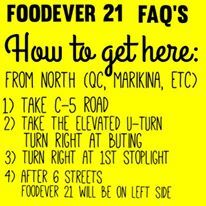 Because of the traffic nowadays, I know the importance of convenience. So I made a list that covers more than one area. If you live in the north then you better try this out. 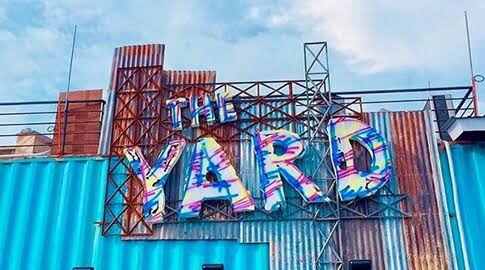 I’m pretty sure you’ve tried going to The Yard at least once! I’m not sure with your experience but it gets a bit crowdy there. But if you haven’t then I suggest you come a little after lunch so you don’t have to line up. Now I’m sure where do you find Surf Shack, well you’re in luck! Because that’s the first joint you’ll see once you get it. It will be on your left. Between the Buns Tip: There’s a stall there that sells good Poutine/Animal Fries to go with your burger. 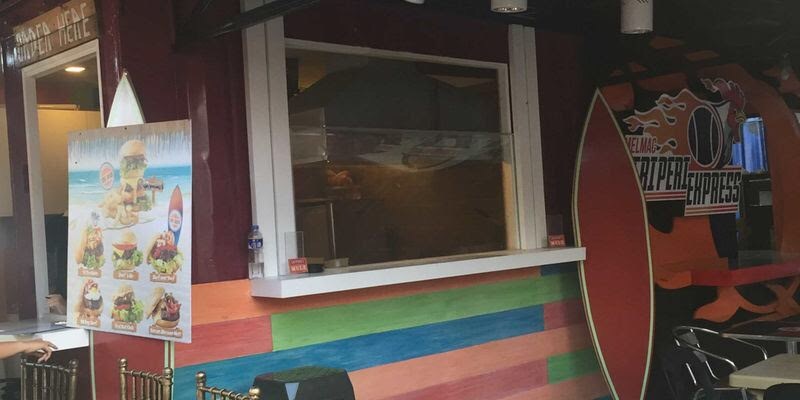 Still in Quezon City, there’s another rising franchise that can be found in Mindanao Avenue. 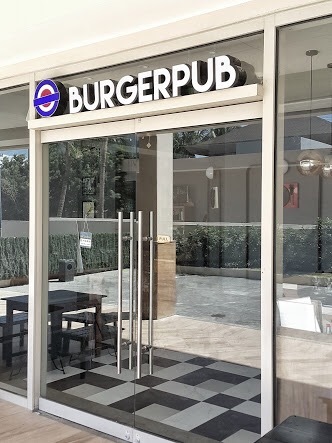 They also have one in San Juan. But we’ll get their later. What to try? Just go for what they claim they are good at! Between the Buns Tip: If you’re planning to visit, I suggest you go there between 11AM-4PM. You’ll get Bottomless Fries and Iced Tea when you order a Juicy Lucy. 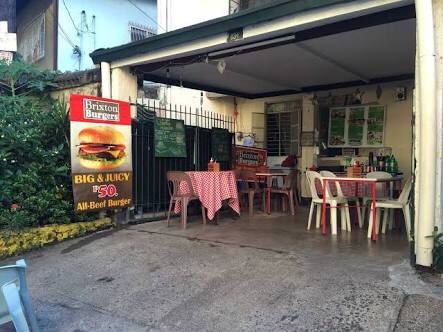 Next up is a Burger Joint that you can try if you’re in the area of San Juan. Saw this a couple of times before but I finally got to try it! 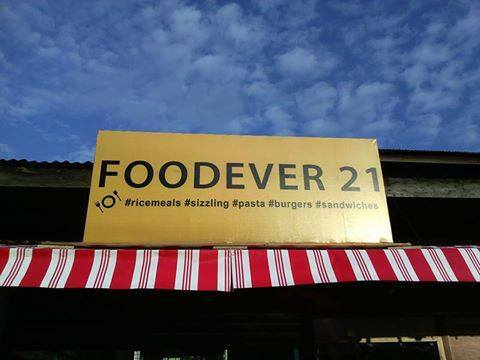 The concept is cute, I guess by just reading the name of the place you’ll immediately get what it is about. So the concept is, they created country inspred burgers. They have, Mexican, French, Japanese, Filipino and if you’re trying it for the first time then I suggest you try this. And when I say try it. Make haste! They might take it out the menu soon and replace it with Chinese or Russian. Between the Buns Tip: If you’re going to have dinner here and especially if you have a kid with you. I sugggest you get a Mcdonald’s drive thru before heading here. There’s not a lot on the menu. 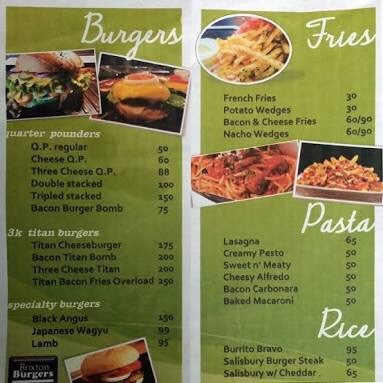 If you live around the Pasig area or you happen to be passing that place a lot then here’s a Burger Joint for you. What to try? Of course their original! Between the Buns Tip: Get the Croquettes and put it Between them buns. Then share this post if something magical happened after that first bite. Last but not the least. If you’re around Makati or BGC area then you have to try this one out and let me know! Fancy place for a fancy burger. If you’re going to compare it with Elbert’s this one is a bit affordable. They use USDA beef. Between the Buns Tip: Not really a tip but the place is more of a Steak place than a B Joint. So if you love both then I guess you should try it out. That’s it folks! Would appreciate your comment when you get to try these joints! Let us know what you think! Your two cents re: taste will definitely help people. I’m sure you’re a sweet tooth for clicking the link, so I won’t make the introductions longer and get to it. 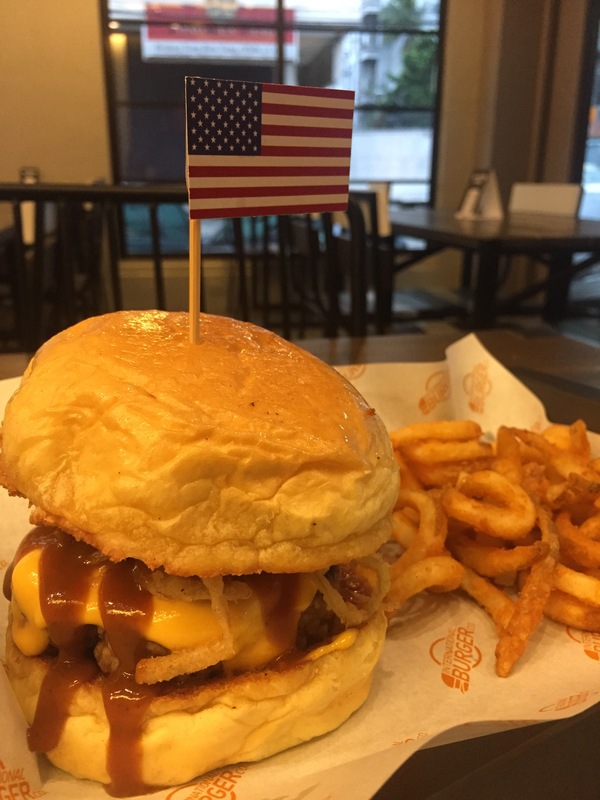 If you want to know where to find the burgers that will satisfy your sweet tooth then here are the suggested restaurants and cafes that serves the burger right for you. Summer time here in Philippines is just getting crazy! So if you have plans going out of town for a vacation, make sure that you visit the Queen of the south. If you’re there right now then I have something special, just for you! 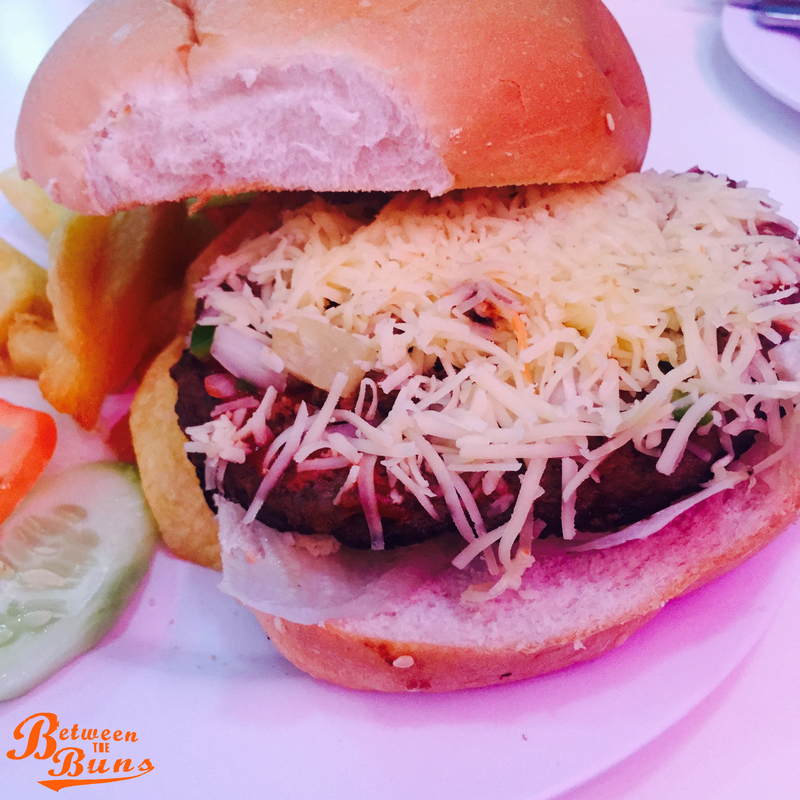 I toured the city last December 2015 looking for the best Burger Joints in the Cebu. 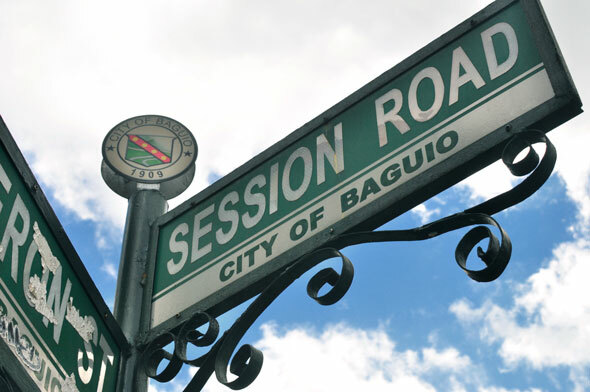 To be honest looking for best burgers in a city which is known for their Lechon (Suckling Pig) is really hard! Unless we’re looking for some Pulled Pork Sandwiches. But I did not come there for that. 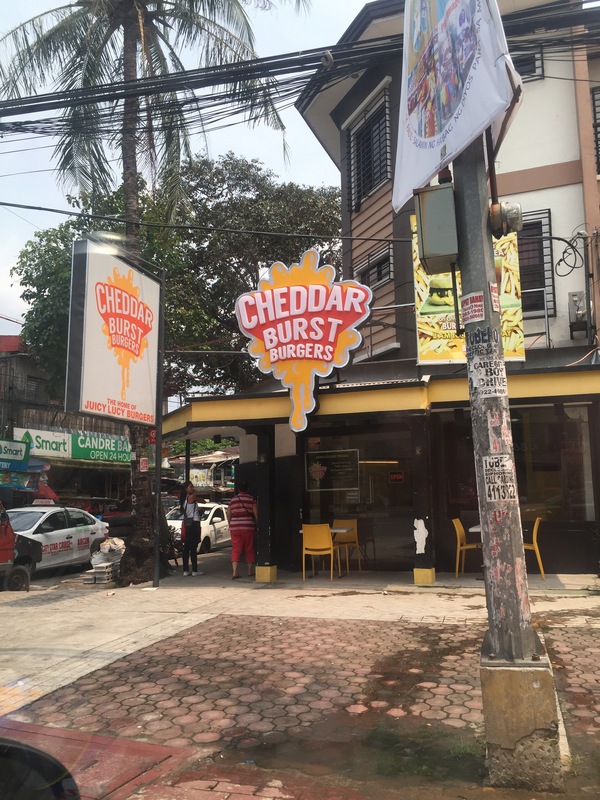 I went there to grab the juiciest and delicious burgers that Cebu can offer. I know I have been inactive for quite sometime now, that’s because I had to take care of business and travel to collect some content that I can share with you guys! 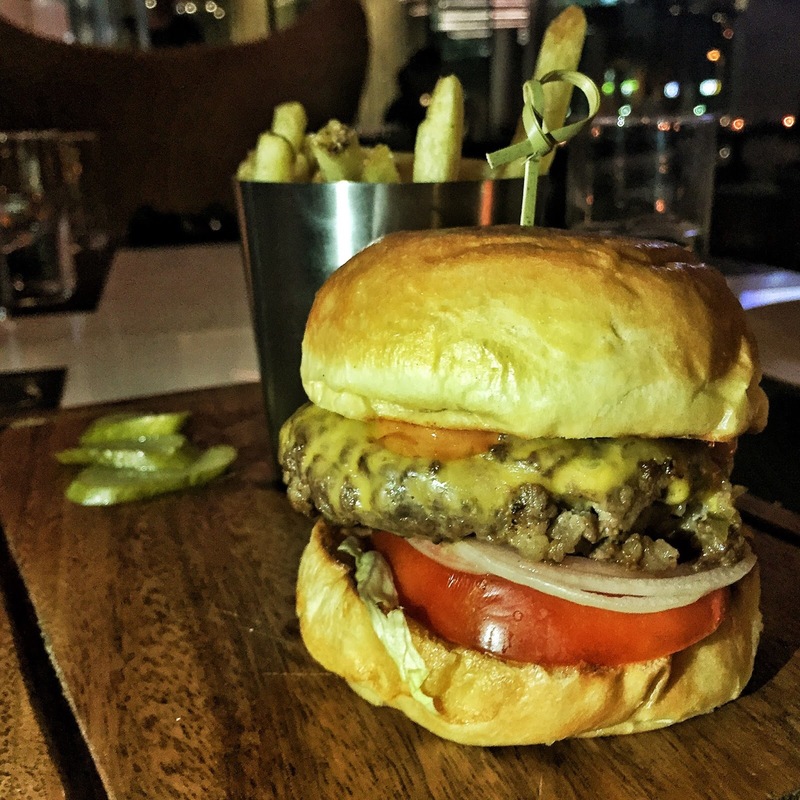 Where to find the best burgers in Bangkok? The big question when you’re in a halal country is where to find a good meat to eat. 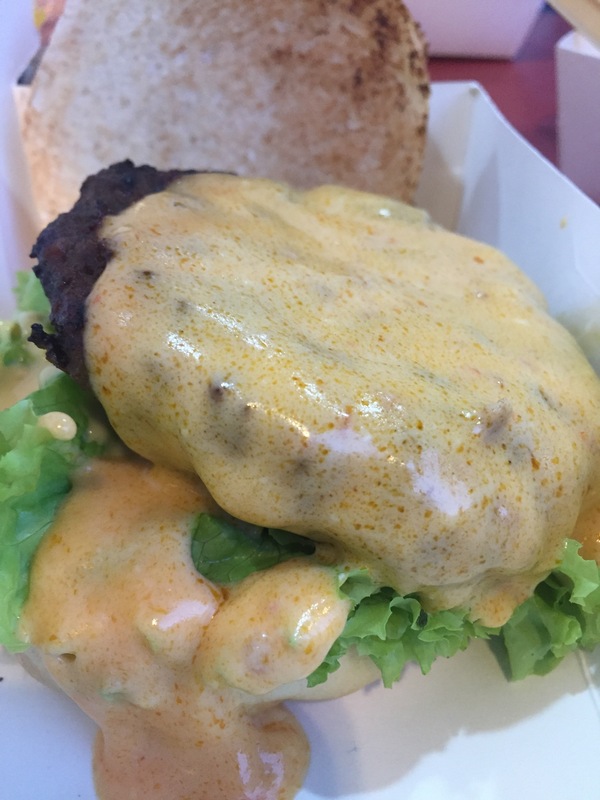 Well, luck for you this blog post will reveal the best burger stops in BKK! Since you’re already in BKK, let us get you some heat. First stop! Look how creatively spooky these Burger Joints are! Halloween really became a thing here in the Philippines. When I was a kid, we don’t care about Halloween, we’re just up for it for the horror, ghost stories and Magandang Gabi bayan Halloween special. But now, kids are really going trick or treating and the adults are out with their costumes partying in clubs. 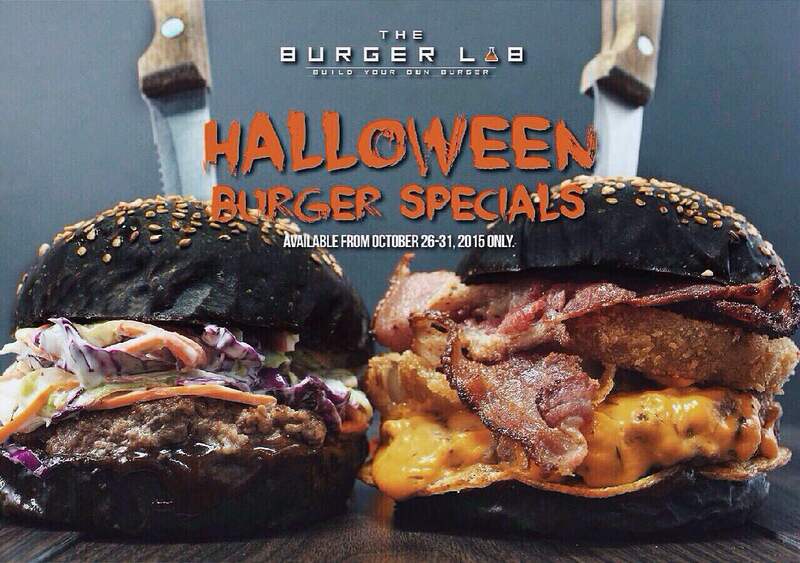 So before you do your Trick during Halloween, I suggest you Treat yourself first with these creatively done burgers. First on the list, The Burger Lab. If you read my old post about The Burger Lab, they are known for creating or inventing your own burger. So they did just, FOR YOU! I’ve eaten a lot of burgers and been to a lot of burger places. If you’re looking for a bang for your buck, then you should definitely head here! 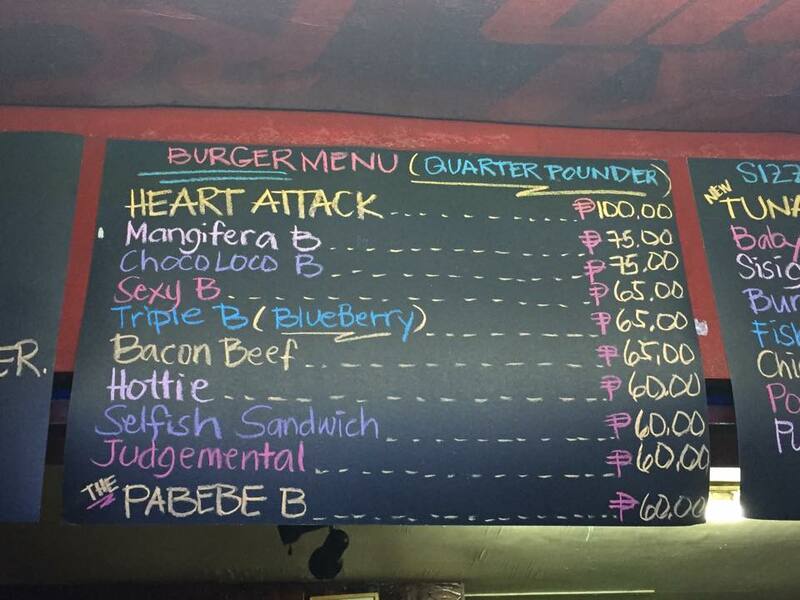 This list has been updated for you guys so you can enjoy these new Affordably GOOD Burger joints in Metro Manila like I did! You will NEVER STOP eating CHICKEN BURGERS when you try THESE!